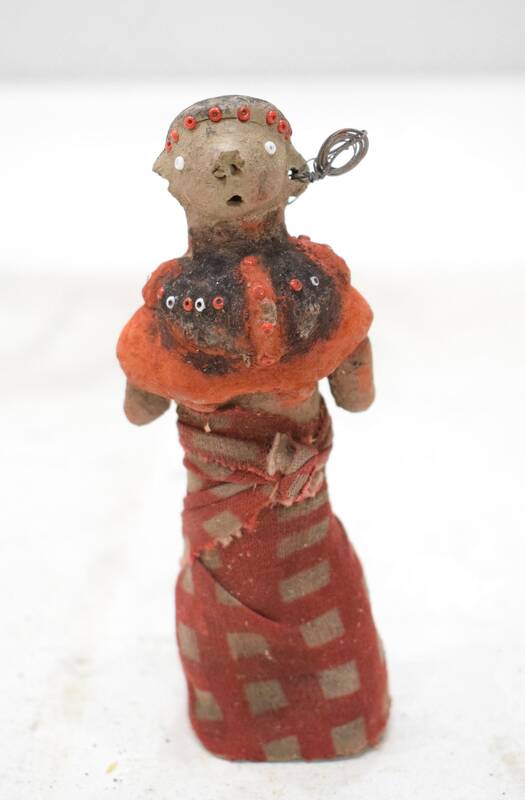 This is a Vintage African Samburu Clay Female Fertility Doll with Wire Earrings, Wrapped in Fabric and Beads from the Samburu Tribal People of Kenya. 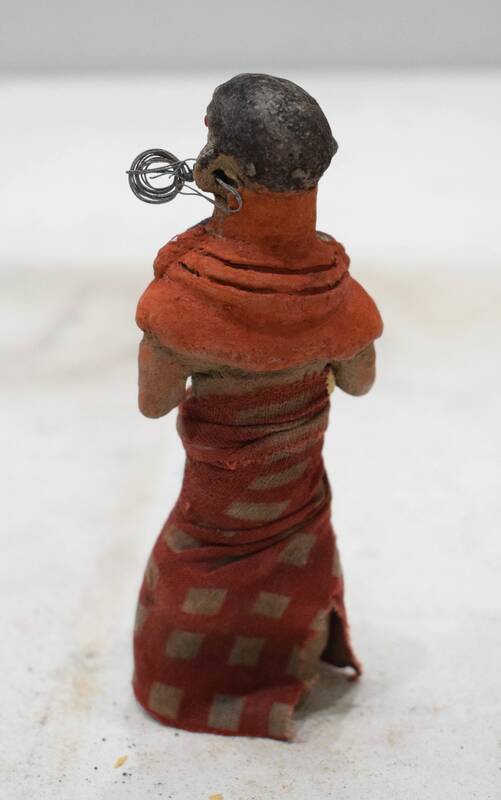 The Samburu create these wonderful sculptures out of mud/clay, paint and cloth with great expressions. These mud/clay dolls are part of their unique art and very important to their culture. This would be a unique item to display in your home or to add to your collection.